Normally a May wedding in the San Francisco Bay Area is great month for an outdoor ceremony. The rain usually stops by March and the heat of summer doesn't really hit till June. May really is right there in the sweet spot. Normally. But this season was an El Nino year and normal weather patterns haven't held true. This May day featured morning rain and afternoon skies that looked at though is could still rain. As I pulled up to the Wedgewood Banquet center and walked up to the ceremony site I was a little perplexed as the temporary chairs for the guests were no where to be seen. With a quick look around the venue I found the Bride and she mentioned the venue was going to wait till close till ceremony time before putting out the chairs in case it rained again. The good news was the rain never returned for the rest of the day. The even better news was the that flowers were still blooming and had plenty of color due to the late season rains. 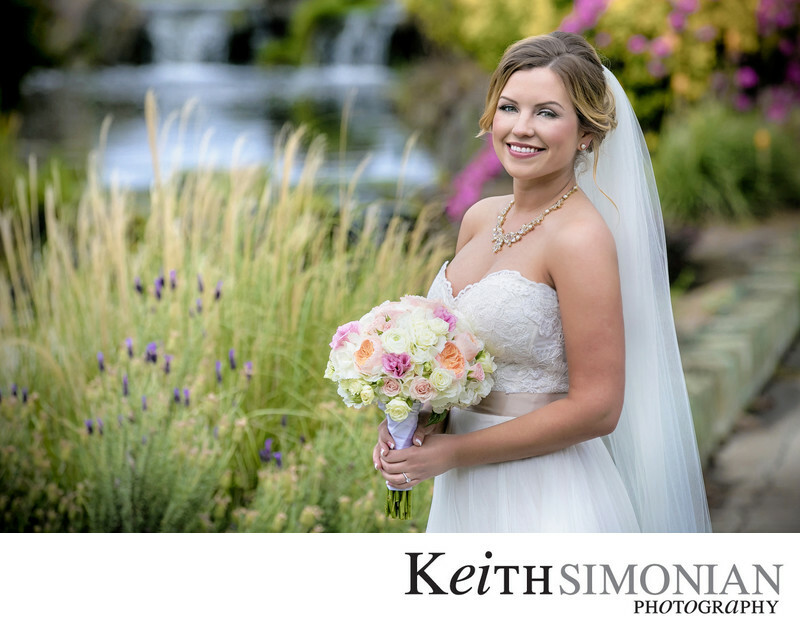 The beautiful colors of those flowers can be seen in the background of the bridal portrait. On a normal sunny day, a bride posing in this location would be looking into the hard late day sun. The overcast sky allowed me to make this photo in a location that might not always work for photos. I used a long lens for this image to compress the bride with the lovely flowers in the background. Location: Wedgewood Banquet Center 100 Summerset Dr, Brentwood, CA 94513. 1/2000; f/4.0; ISO 400; 160.0 mm.